Adhesive or glue is a compound in a liquid state that adheres or bonds items together. Adhesives may come from either natural or synthetic sources. Some modern adhesives are extremely strong, and are becoming increasingly used in various industries. The types of materials that can be bonded using adhesives is virtually limitless, but they are especially useful for bonding thin materials. 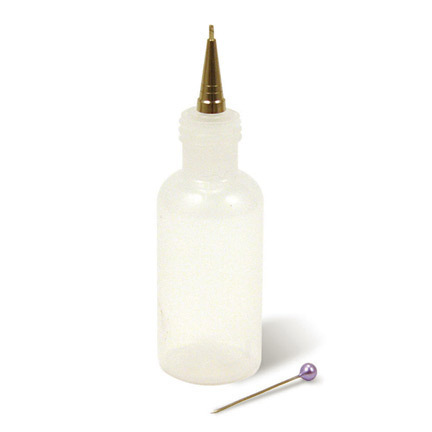 Adhesives usually require a controlled temperature,to cure or set, and to give optimum results. Om Enterprise is an esteemed company in the leather industry since 1992 and is only advancing with time. We offer our customers with a great variety of garment accessories and materials, ensuring superior quality of our products at best price. Today, we are a one-stop shop for all your garment needs. Also, 25 years of experience has not only helped us gain sound knowledge of this industry but today, our customers have faith in us and share a mutual understanding. We are also the domestic leaders when it comes to distribution of zippers. Not our products, but we consider our customers the biggest assets. We are dedicated to serve your business requirements on time with prime quality.